The official video for "9-13", a brand new song from the cult U.K. doom/sludge outfit IRON MONKEY, can be seen below. The track is the title cut of IRON MONKEY first new full-length in almost two decades, which will be released on October 20 via Relapse Records. After disbanding in 1999 due to the death of their original singer J.P. Morrow, the group has reformed for phase two of their mission. Recorded in IRON MONKEY's hometown of Nottingham in spring 2017 with producer Johnny A. Carter, "9-13" is nine songs and forty-eight minutes of total nihilism. Now older, more cynical and more isolationist, the band is back to usurp the scene, then crush its skull. 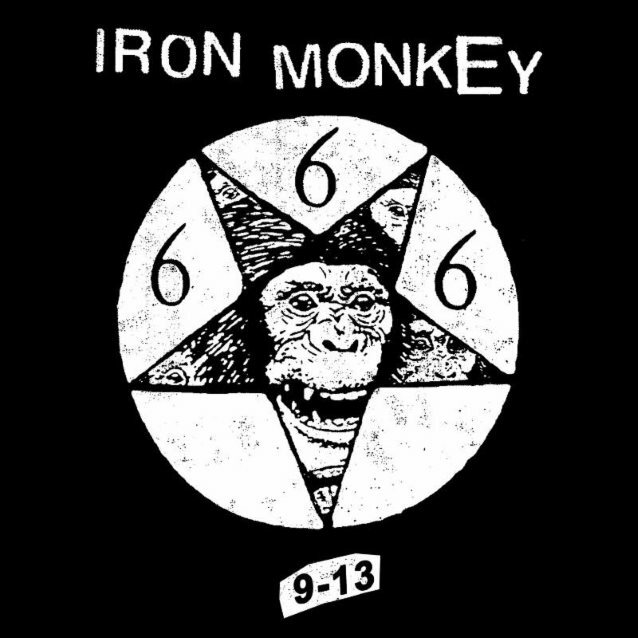 Without question IRON MONKEY's most focused, aggressive and direct material to date, "9-13" is an all-out assault of violent hatred and nightmarish negativity — recommended listening for fans of pain, suffering, and misanthropy. Heavily influenced by the nihilistic sound of groups like EYEHATEGOD, BUZZOV*EN, FLOOR and GRIEF, IRON MONKEY originally formed in Nottingham, England in 1994 and released two full-lengths (1997's self-titled debut and 1998's "Our Problem"), a live album and a split with CHURCH OF MISERY before splitting in 1999. Now, almost two decades later, the band has decided to reform as a trio with co-founding members S. Watson on bass and J. Rushby on guitar/vocals. 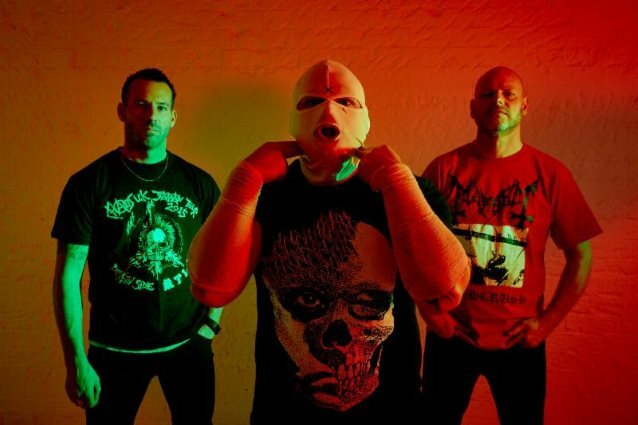 They're rounded out by new member S. Briggs (CHAOS U.K.,) who also played with original IRON MONKEY vocalist J.P. Morrow in the short-lived sludge supergroup MY WAR. Morrow died of a heart attack in June 2002.